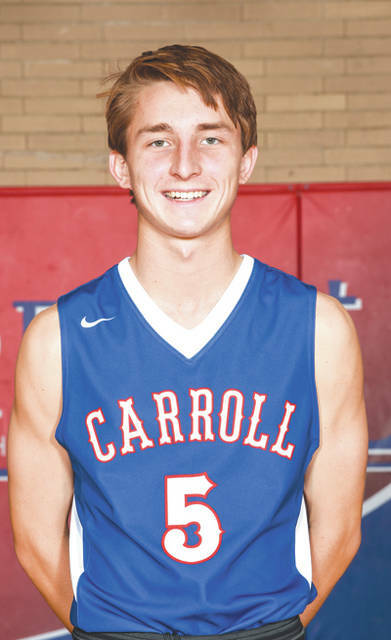 DAYTON — Justin Dirksen, of Carroll, was awarded a Southwest Ohio District scholarship on June 19, in Dayton. Legacy Christian’s James Brads was also awarded a scholarship. The two graduated Greene County student athletes were among 46 Southwest District high school students who were honored. ADRIAN, Mich. — The Xenia Scouts lost a doubleheader to the host Irish Hills Leprechauns, June 24, the first by a score of 9-5 and the second a walk-off, 8-7, at Siena Heights University Field. In the second-game loss, designated hitter Connor Regan put Xenia on top with a two-run home run, the fourth homer by a Scout this season. Center fielder Graham Welch doubled and tripled, and drove in a run on a bases loaded walk. The Scouts (6-6) have trailed at some point in their 12 games played thus far this season. They travel to Muskegon, Mich. to play the Clippers on Tuesday June 26 after two off days.